12Trader is a forex broker. 12 Trader offers the Web and Mobile forex trading platform. 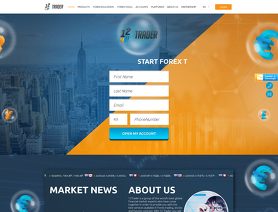 12Trader.com offers over 20 forex currency pairs, indices, oil, gold, stocks, commodities, cfds, bitcoin and other cryptocurrencies for your personal investment and trading options. 12TRADER.COM SCAM, I CAN'T WITHDRAW US$250 INVESTED. 3) I can not get hold of COLLINS - Sales who used to call me everyday before I invested and who promised that I can withdraw from my money if I am not happy. Please do not invest your money with 12TRADER.COM it is SCAM if anyone needs further information about this company contact me. 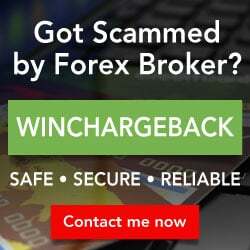 12trader is the best forex broker i have ever worked with and the best service are provided to me bu their consultants. vlad anderson will do his best to make you more money than you could ever imagine. I am working with this company for the past 1 year. They are providing me great help. They teached me in the beginning and now providing me signals everyday. everything is working good, they are good company I recommend it for beginer and traders that want to improve. 12Trader and CMSTrader are related companies. This review came from the same location in Bulgaria used in the FPA's forums by a representative of CMSTrader.